Dr. Benjamin Hopsicker (Dr. Ben) is a Chiropractor in Alexandria, VA, serving Alexandria, Kingstowne, Franconia, Springfield and the surrounding communities. Dr. Hopsicker offers concierge chiropractic care that is tailored to your specific needs, in order to help you maximize your potential health. 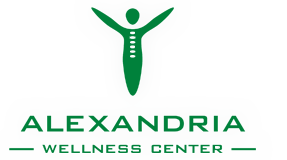 The new patient experience at Alexandria Wellness Center is focused on taking the time to learn your specific needs and develop a strategy to cater to you. Click below to learn more. Dr Ben is the absolute best! He has been taking care of mine and my husbands chiropractic needs for years. I've had 10 surgeries and have more metal in my back than the Terminator. Without Dr. Ben and the Alexandria Wellness Center I could not live my active lifestyle. I run 80+ miles a month, hike, camp, hunt and fish. Dr Ben customizes my treatment plan to help me achieve my goals. He truly listens and cares about reducing your pain and making you feel better. Thanks Dr Ben! Dr. Ben has been a blessing in my life! His chiropractic treatments have helped heal my chronic pains. He is very educated in the human anatomy and able to identify the core cause of any unbalance and provide therapy that fixes the issue and brings long-lasting health and comfort. Dr Ben is at the top of his field - Experience it! Dr Ben has treated several members of my family. I am completely confident in his skills and level of care. I am equally confident that anyone I refer are in good hands. Get Social With Our Family! serve the Alexandria area. Meaning great chiropractic care is only a few minutes from your home.